A shift in seasons is delicious. You can begin to notice a change in the morning light, and some days begin with the promise of coolness. It's a wonderful pledge that the heat of summer has passed. This is the precise time to think of fireplaces. Not everyone is fortunate enough to have a romantic working fireplace, or even a living room large enough to house one. I am thinking of those who live in urban studios or the tiniest of cottages across the nation. At my house we have a standard wood-burning masonry fireplace, but I cannot use it for a bizarre reason: We have two American field-trained Labradors, and one is terrified of the sound of a crackling fire! We've even tried using pressed logs, with no success. In honesty, I just do not have the heart to watch our big, black dogs slink out of the living room and hide far away in the bedroom. It's such a lonely thought considering that a fire generally makes everyone in the family feel comfortable. So most cold nights we stare at the dark fireplace and crank up the heater. So many urban high-rises are built with electric fireplaces that barely qualify as real hearths. I recently worked on an expensive penthouse downtown, and my client just pulled the entire thing out. It was so anemic that it was almost embarrassing. It's like cooking on a hot plate or washing the dishes in a water fountain. Most of the time, these sorts of solutions are a kind of insulting pretense and a checked box on an amenities list rather than something of satisfying function. With good fortune, you will have a genuine and old-fashioned fireplace. This wood-burning stove is snuggled neatly into a fireplace indentation and is about as opposite from one of those bogus options as you can get. Obviously, wood stoves are popular in regions where firewood is plentiful and affordable. It's always best to check your local guidelines regarding emissions before investing in a wood-burning stove. The addition of a rustic mantel draws the solution into a more believable realm. I love the story of the Rais wood-burning stove. You can search for the entire story, but to put it simply, the concept was originally developed in the early 1970s in Denmark as a response to air pollution. Historically so many homes in the frigid Scandinavian countries were heated by wood-burning stoves that air pollution was became a problem. Specifically, architect Bent Falk conceived the notion of a portable wood-burning stove that could be delivered on a job site ready to work when a client forgot to order an insert for a traditional brick fireplace. And thus, Rais was born. The name comes from the fact that the stove was manufactured in Randers, Denmark, which was called "Rais" in Viking times. If you are in a very small, urban building, you might benefit by investigating another international company called EcoSmart Fire. The backbone of its product line is a simple burner kit that's only 11.42 square inches by 4.41 inches tall. EcoSmart products are fuelled by bio ethanol, a renewable liquid fuel produced from agricultural by-products that burn clean. This means no smoke and no harmful emissions, and because the fuel is completely composed of plant products, the result is a neutral ecological balance. The tiny burner kit is so sleek that one can design a contemporary installation that at least looks honest and is unlike staring at one of those silly electric pretenders. You can place this unit right inside a bookcase or other type of built-in cabinetry, as it requires no venting to the outside. Know that if you buy one of the cheap electric fireplaces online, everyone will know precisely what you did. Respect should be given to the ancient concept of warming oneself by a fire. Seek out the best solution you can afford. 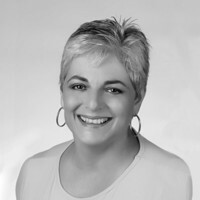 Christine Brun, ASID, is a San Diego-based interior designer and author of "Small Space Living." Send questions and comments to her by email at [email protected] To find out more about Christine Brun and read features by other Creators Syndicate writers and cartoonists, visit the Creators Syndicate website at www.creators.com.